According to Villages-News.com there is another golf cart incident. 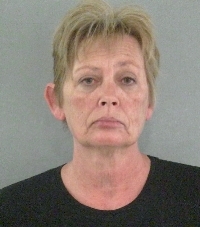 Ronda Kae Ghioto, 58, had been traveling in the golf cart at about midnight when she ran a stop sign at the intersection of Old Camp Road and Old Mill Run, according to an arrest report. After admitting she had been drinking, Ghioto was invited to participate in field sobriety exercises. She said she had undergone a hip replacement, but thought she could complete the exercises. She failed and at one point complained she had suffered a cramp. She refused to provide a breath sample. During the course of the investigation, the deputy learned that Ghioto had been convicted of DUI in 1995 and 2001 in Michigan. She also has an active warrant out of Ionia County, Michigan dated Jan. 3, 2007 on a charge of DUI. She was booked at the Sumter County Detention Center. She was released after posting $5,000 bond.